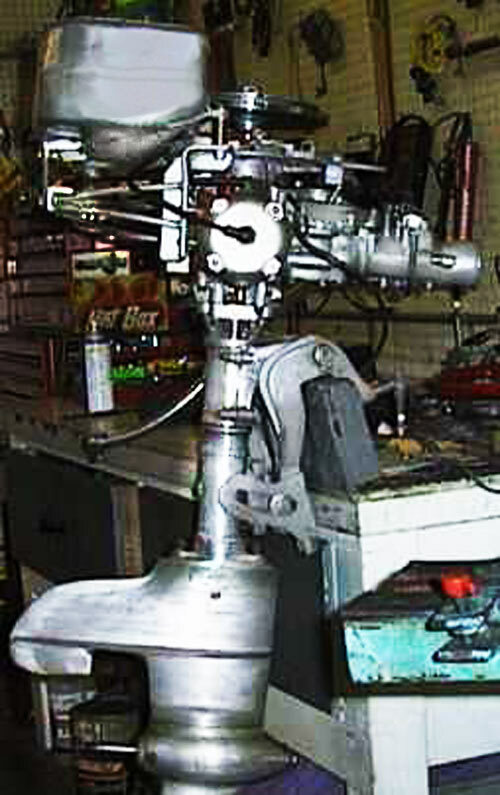 The REDNECK RIVIERA, Antique Outboard Motor Club Unofficial Website! NEW DECALS FOR OLD OMC MOTORS! 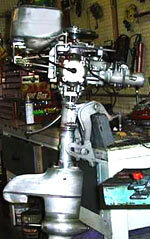 2010 MOTOR RESTORATIONS BY BILL! I BUILD A MERCURY MOD MARK 50! 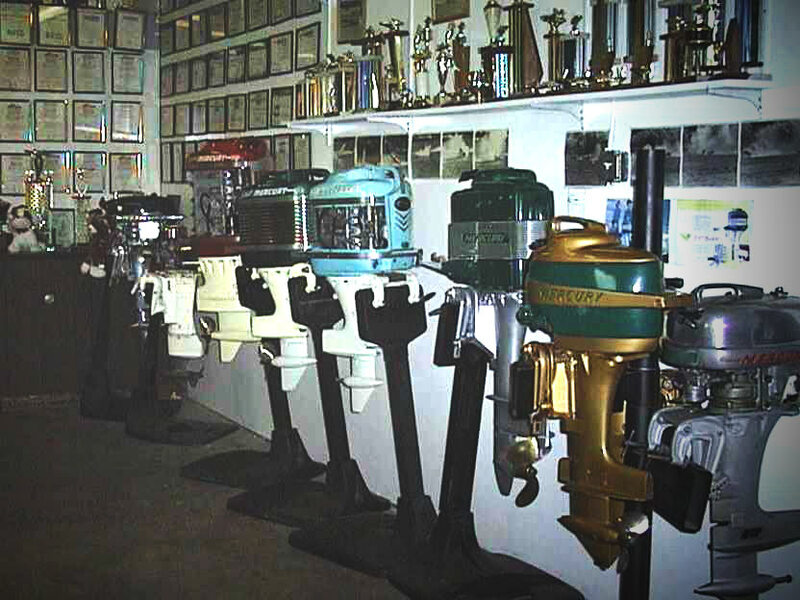 01-09-2010 WELCOME to the unofficial Northwest Florida Antique Outboard Motor Club website! Hope you enjoy the fun. Here are some of the folks and the motors collected up in the great Northwestern US. 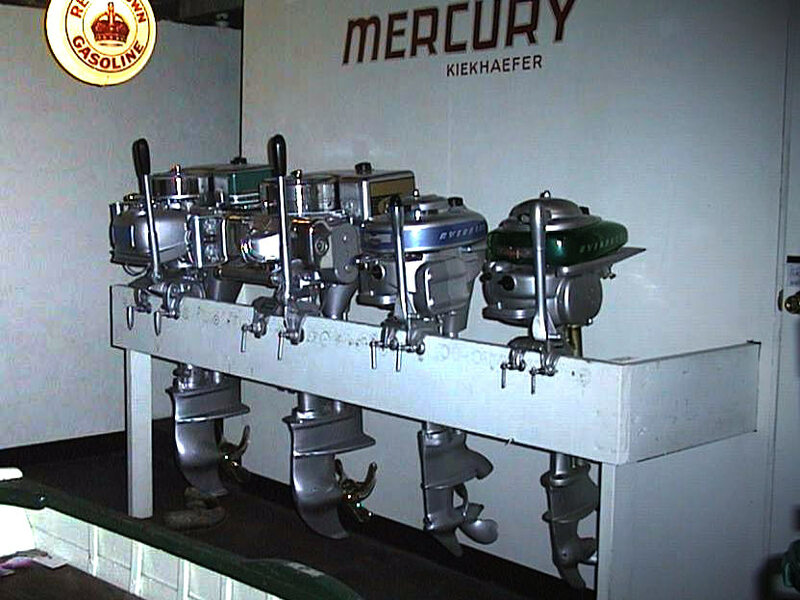 Howard Van Leuven had this nice pair of original shiny green Mark 50 Mercs. In the background you can see a nice MK55. Out of the photo is a 63 Merc 500 that is original/mint. Howard also had an impeccably restored yellow Jacket 14' runabout that he powered with these. This is vintage info, Howard was killed in an unfortunate accident while out jogging. You just have to see this to believe it. The Williams family have been around all this since way back - - even as long as your striving webmaster! Dey got ALL da Mercs! This is only part of the show. 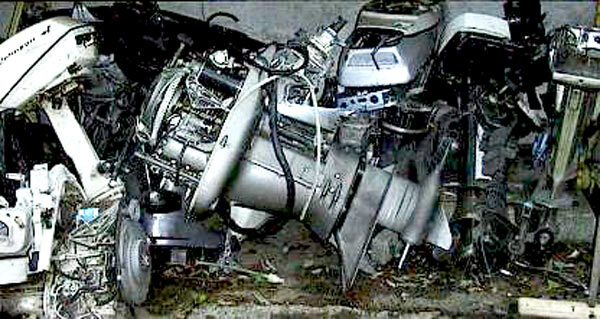 Hurricane motor in the foreground was used to annihilate the B class record by Jack Leek when he was a Merc fan. He went on to head OMC's racing division in the heyday. These four 4's are lurking in Dennis Johnson's collection. I call 'em the OMC hall of shame. The big motors being sold as government largess, the Zephyr 5HP is the most complex and silliest 5 HP ever built. Real waste and an example of engineers running wild. 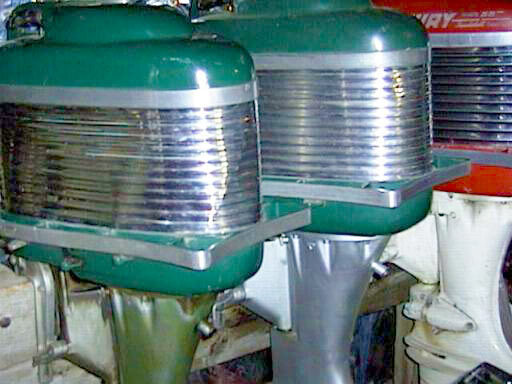 The light 4 was a good motor tho. And Dennis's restorations are impeccable! The Northwest guys are still into racing these old critters. Here's a modified P50 Johnson for classic C. This stuff is really fun to run, cheap & cheerful. As a retired OPC racer I can identify with that! It takes a big budget to go racing with new stuff today, and no appropriate monetary rewards.